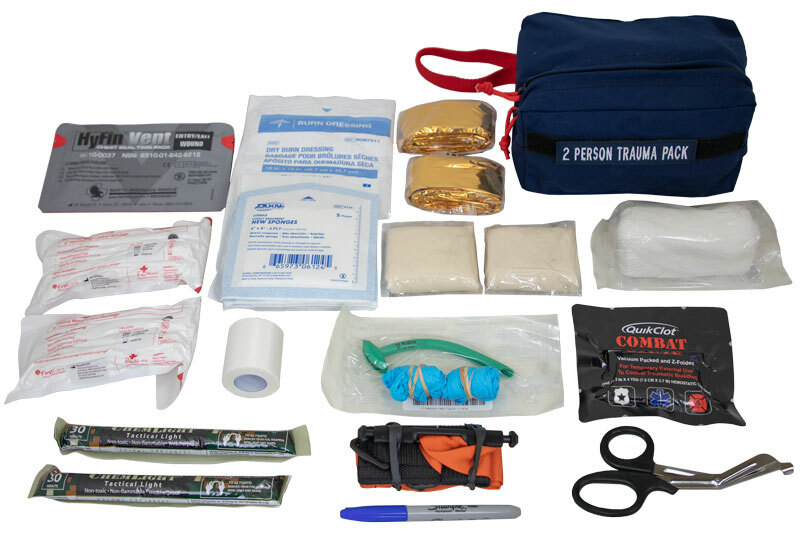 The Mass Casualty Incident Response Kit (MCIRK) began with a military version TSSi developed in response to the needs in Afghanistan and Iraq for treating significant numbers of severely injured casualties with easy-to-use medical equipment. 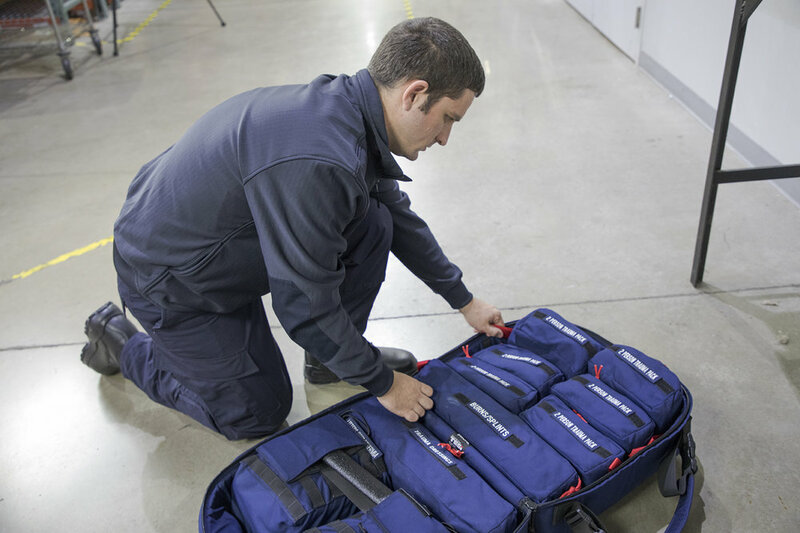 We then developed a second version to provide emergency responders with the same ability to treat traumatic, life-threatening injuries for 12-20 (+) casualties from a single bag. Both versions contain numerous removable Trauma Packs; each individually capable of treating multiple persons having a variety of injuries. The MCIRK was specifically designed for use in any location where large crowds typically gather. Blast Bandages, 20" x 20"
Burn Dressings, 18" x 18"
Triangular Bandages 40" x 40"
buildings. Constructed of high strength powder-coated steel, the MCIRK Cabinet comes with stainless steel latches and a rubber weather sealed wide access door. It ships with long life “star of life” decals that are both reflective and glow in the dark, facilitating easy location by first responders. Mass Casualty Incident Response Kit sold separately.